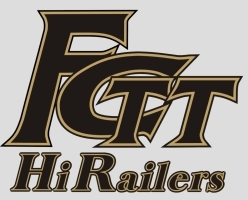 FCTT HiRailers Inc. is a Not for Profit Modular Hi-Rail Model Train Club located in Rochester New York. We create fully scenicked layouts and operate and display O Gauge model trains from various manufacturers at train shows and community events. The FCTT group created a number of modules that could be interconnected to form a large layout. They used Lionel tubular track and Lionel switches. The modular layout was displayed at train shows and local shopping malls. In 2003 club members decided to upgrade the modules to more realistic track and scenery. They adopted Gargraves 3-rail track and the 3 mainline spacing standards of the Independent Hi-Railers. FCTT has continued to grow in membership and the number of available modules and can construct oval, 'L', and kidney shaped layouts from 12 by 16 feet to 40 by 60 feet and much larger. Displays can include an elevated train station with passing sidings, classification and intermodal yard up to 8 feet by 50 feet inside the oval or as an outside extension, an industrial switching area, and two lower level independent layouts. FCTT has exhibited at such shows as: CNYNRHS Annual Train Fair in Syracuse,NY; WNYNHRS Train Shows in Hamburg (Buffalo) NY; RIT Tiger Tracks Train Show(Rochester); Great American Train Show in Buffalo, Rochester and Syracuse: County Fairs at Hemlock and Palmyra NY. FCTT also displayed at the: 1996 TTOS and 2006 LOTS National Conventions, 2007, 2008,& 2015 Eastern Division TCA York Shows, 2008 TCA National Convention in Burlington VT, and as display host for the 2012 LOTS National Convention in Rochester NY. FCTT incorporated as FCTT HiRailers Inc, a 501(c)3 corporation, in April 2014.